If you’ve come over from my former blog site, or if you just found me today, welcome! I’m pleased that you’ve dropped by. After some thought, I’ve put together a new site for myself, one that combines information about my background and services with an opportunity to blog about things that are important to me. I’ll continue to talk about CEOs, but I also plan to write about communications, leadership, politics, religion, societal trends and other topics that catch my eye. For those of you who rely on me for grammar tips, I’ve put together a whole page listing all the tips I’ve offered in the past. I’ll continue to offer grammar pointers once a week as part of my blogging efforts. Look for several tips each Friday. 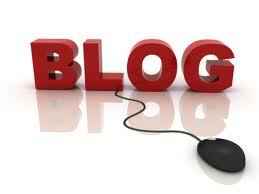 Please take a moment to subscribe to this blog. You’ll find tools to do so at the top of the right-hand column. You can either take a Feedburner feed or subscribe by email. I’m looking forward to doing more with this website. Thanks for coming along.